In this stunning reimagining of J. M. Barrie's beloved classic Peter Pan, New York Times bestselling author Jodi Lynn Anderson expertly weaves a gripping tale of love, loss, and adventure.When fifteen-year-old Tiger Lily meets the alluring teenage Peter Pan deep in the forbidden woods of Neverland, the two form an unbreakable bond. As the leader of the Lost Boys, the most fearsome of Neverland's inhabitants, Peter is an unthinkable match for Tiger Lily. And yet, she is willing to risk everything--her family, her future--to be with him. Then an English girl named Wendy Darling arrives on the island. 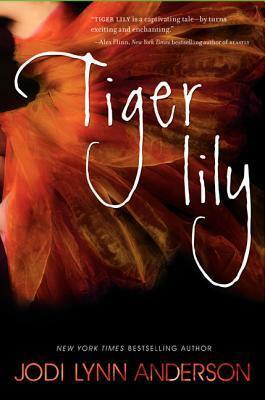 With dangers tightening around them, Tiger Lily soon finds out how far she is willing to go to keep Peter with her in Neverland...and discovers that the deadliest enemies lurk inside even the most loyal and loving heart. When fifteen-year-old Tiger Lily meets the alluring teenage Peter deep in the forbidden woods, the two form a bond that's impossible to break, but also impossible to hold on to. As the leader of the Lost Boys, the most fearsome of Neverland's inhabitants, Peter is an unthinkable match for Tiger Lily. With her betrothal to another man and deadly enemies threatening to tear them apart, the lovers seem doomed. But it's the arrival of Wendy Darling, an English girl who's everything Tiger Lily is not, that leads Tiger Lily to discover that the most dangerous enemies lurk inside even the most loyal and loving heart.